This remarkable Huntersville home has it ALL with no detail spared! 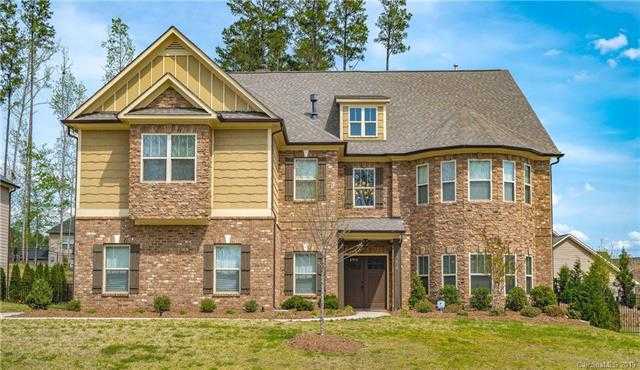 You'll notice the attention to detail the moment you walk through the doors from the coffered ceilings, gleaming hardwoods, built ins, wainscoating throughout 1st floor, crown molding, custom blinds, surround sound, etc. Entertaining will be a dream with your open floorplan including a 2 story great room boasting tons of natural light & a showing stopping gas fireplace. This amazing kitchen features professional grade Bosh appliances including a double oven and gas range, copper farmhouse sink, potfiller, and lg breakfast area which opens to your beautiful screened in porch and spacious fenced yard. Private main level bedroom and full bath perfect for guests. Sizable master retreat with sitting area and fireplace and master bath ft dual vanities, sep tub/shower and massive walk in closet. Third floor features large media room with a projector & bar along with a playroom and 2 additional bed/baths. Don't miss this one! Please, send me more information on this property: MLS# 3496104 – $629,900 – 13410 Crystal Springs Drive, Huntersville, NC 28078.